TRVE Brewing will release Wavering Radiant – described by TRVE as an “American Young Spontaneous Ale” – from their Broadway taproom on Saturday, December 2nd at 12pm. Wavering Radiant is TRVE’s first ever spontaneously inoculated beer to release from the Acid Temple (TRVE's sour and wild ale facility). 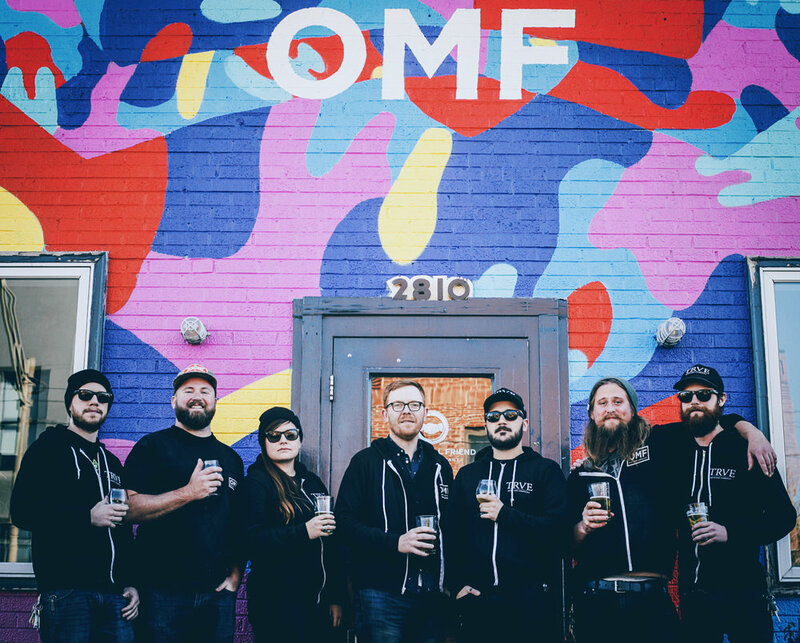 Denver, CO - Our Mutual Friend Brewing of Denver, CO has partnered with TRVE Brewing’s distribution arm for distribution of their beer along the Front Range. TRVE will begin limited distribution of OMF beer in mid-November, commencing with a celebration of stouts and porters hosted by Falling Rock Tap House on November 17th at 5:30pm. Colorado order inquiries for OMF and TRVE beer can be directed to sales@trvebrewing.com. A group of American brewers has, over the last year, come up with up with a new appellation for traditional, spontaneous beers made using a coolship: Methode Traditionelle. The argued need for this appellation is to avoid confusion and deception about spontaneous beers on the market, to set up best practices, and to side step the terms “Gueuze” and “Lambic,” as these are commonly accepted as referring to a specific region in Belgium. A toast to a great year for our tiny brewery. TRVE Brewing announces a new raw ale program.